Love this bold color combo! Your card is great! So much fun, love the vibrant colors for this card. This is soooo pretty! I love the bright colors and how the sentiment is split between the three layers. Thanks for playing along with us at colourQ! Beautiful card! 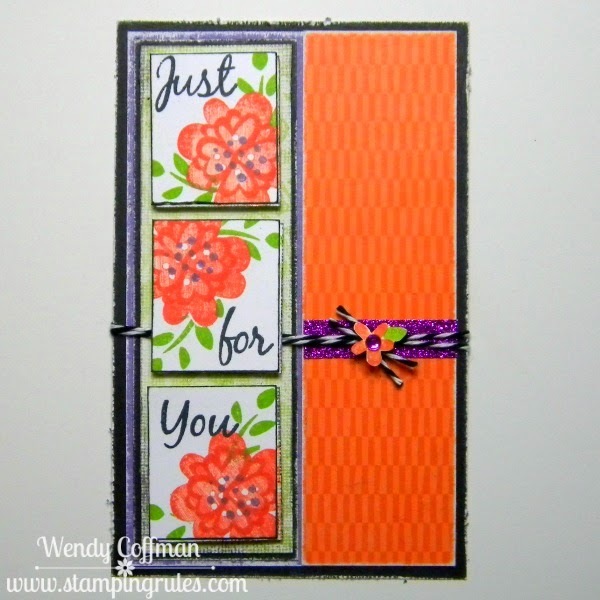 I love the layers and the color choice for this card. Love the rock and roll technique with the swiping. 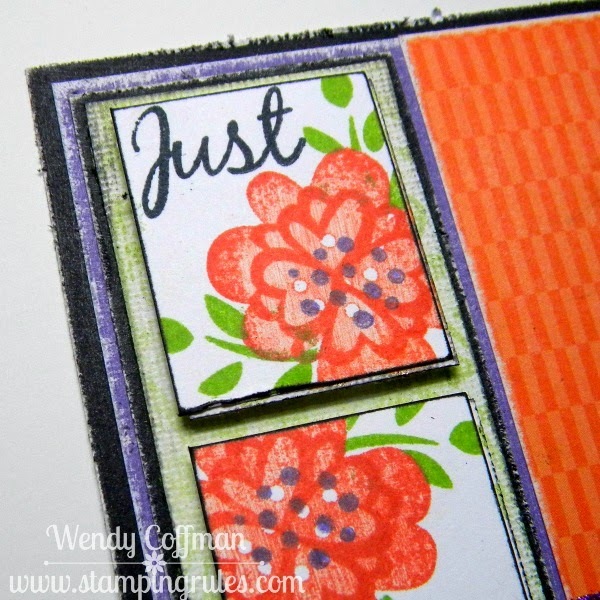 What a beautiful card and I love that you used these colors for a non Halloween card...so so beautiful. Thank you so much for playing along with us at ColourQ, hope to see you again next week. Gorgeous color choices and I love your take on the Mojo sketch! Wow, this is an amazing card! Pinning it now, this is just inspiring. TFS!